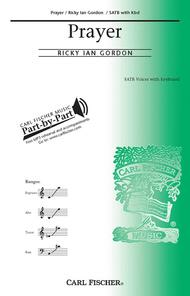 Composed by Ricky Ian Gordon. Piano reduction/vocal score. With Standard notation. 20 pages. Carl Fischer #CM09122. Published by Carl Fischer (CF.CM9122). ISBN 825868475. Key: A major. Set to his own inspirational text, Prayer by Ricky Ian Gordon is a heartfelt appeal to the best qualities in human nature. This selection, by the noted composer of the new opera, The Grapes of Wrath, will be very attractive to young performers. 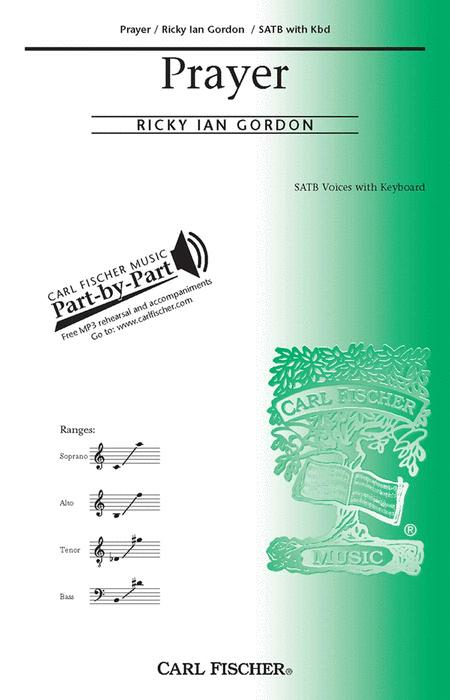 The setting is basically homophonic, with the lovely, singable lines characteristic of Gordon's music, and a rich and colorful piano accompaniment that enhances the reflective mood of this sensitive piece. High School and above. 7:29.